I don't like when the weather gets cold as that means we spend more time indoors. Spending all that time indoors also means that my kids are exposed to more germs. Germs equal kids being sick with coughs, runny noses, and stomach problems. Did you know that kids get on average 2-12 colds a year and adults 2-4? I hate seeing my kids when they are sick and hearing them is even worse as they cough all night. 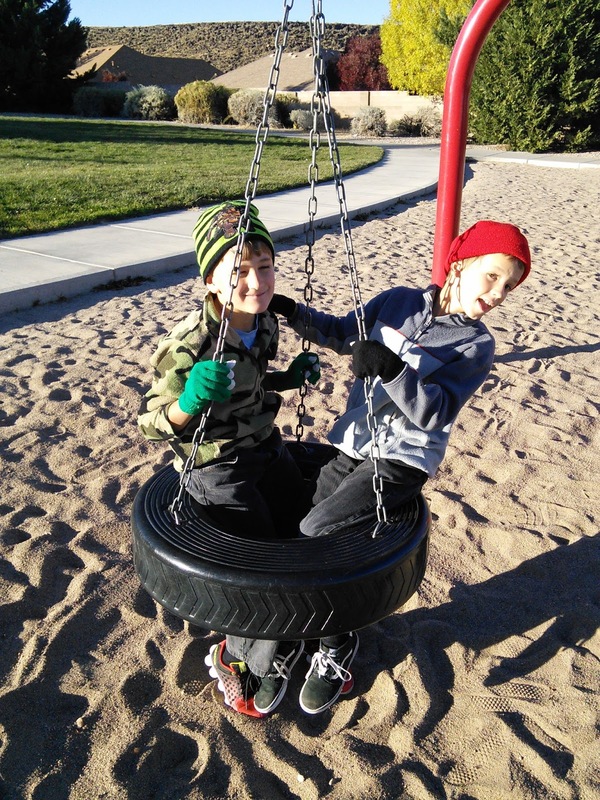 So I do many simple and non-simple things to keep my kids healthy. Here are some of the things that I do to keep my family healthy. 1. Get a flu shot Every October I take my kids to the doctor to get their flu shot. My kids and husband whine about getting this shot but we have not had the flu in a couple of years. The only time everyone, except me, was once in the past 5 years. That was the year that the drug makers did not predict the formulation of the shot correct. The shot still helped as the kids and husband only suffered 3 days with flu symptoms. 2. Eat healthy Food I feed my family lots of healthy food like fruits and veggies as they are loaded wth vitamins and minerals that help our body stay healthy. I also give everyone a whole food organic multi-vitamin for extra nutrients. My boys only like fruit so the vitamin fills in the gaps of their diet. 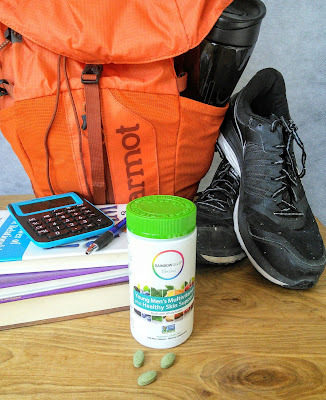 My active teen just started taking a multi-vitamin that is made for teens. His acne is flaring up so I like that Rainbow Light adds Healthy Skin Support to their Young Men's Multivitamin. They also make their vitamin in mini tablets so they are easier for my teen to swallow. 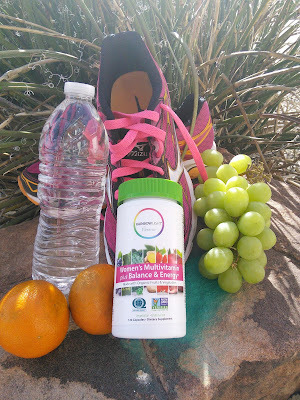 I just love all the fruits and veggies that Rainbow Light puts into these tablets. My teen is getting some veggies into his diet finally! 3. Wash the hands I am a fanatic about hand washing. I make my boys wash their hands before they eat, after they go potty, and when they get home from school or from other places. I remind them to sing happy birthday twice while scrubbing their hands. I truly believe this is one of the best things to do to stay healthy as washing removes the germs from your hands. My youngest does not always do a good job of hand washing and he is the one that gets sick first. This Lemongrass Gel Hand Wash smells so good and encourages my son to wash longer. I love that it does not contain any antibacterial ingredients so it does not wash any the good bacteria on my kid's hands and it leaves them feeling soft and clean. 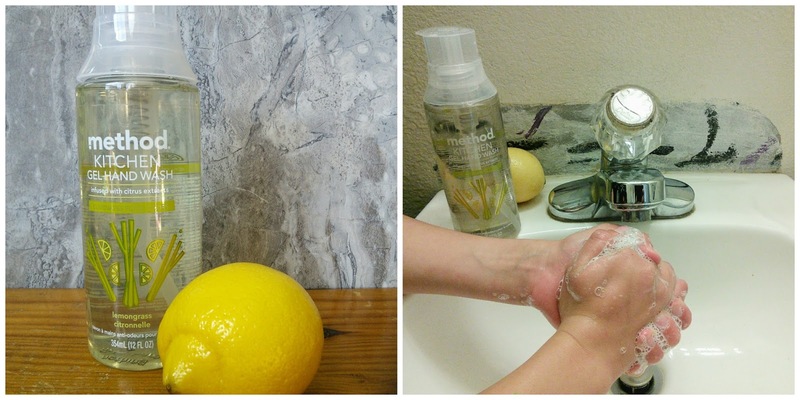 This Method soap is infused with citrus extracts that are naturally derived and is also great in the kitchen to wash away those stubborn smells like onions. 4. Stay away from the doctor I try my best to avoid doctor offices during the winter as they are loaded with germs. My ten year old was born in November and I schedule his well check up in April with his 8-year-old brother just to avoid the germ infested doctors. If my boys get an illness that requires a doctor visit, I will do a video Dr. call first. 5. Take Probiotics My boys started taking probiotics 2 years ago and they have not caught a cold since them. To keep my boys interested in taking a daily probiotic, I let them choose the form and flavor of their supplement. 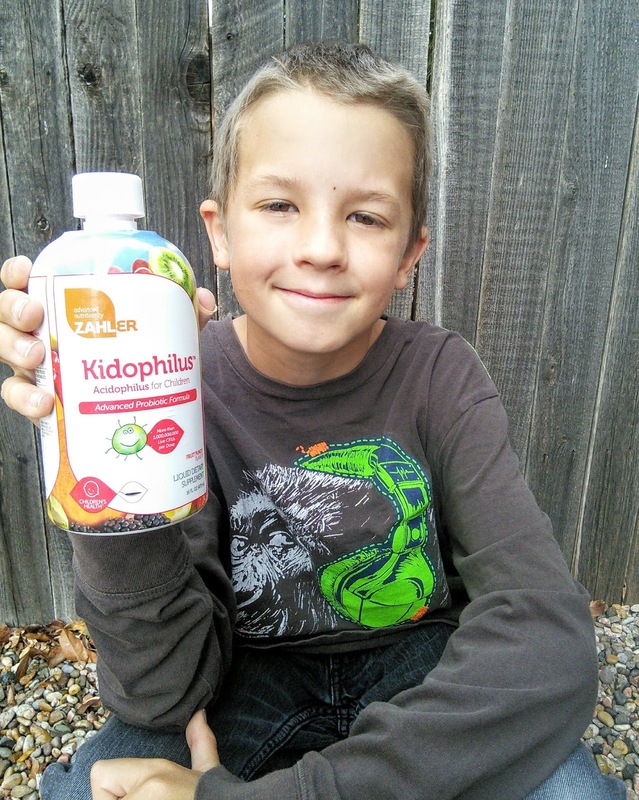 Their new favorite probiotic is a tropical punch flavor Kidophilus made by Advanced Nutrition by Zahler. My picky 10-year-old said "this is so delicious" the first time he tried it. This delicious probiotic has friendly bacteria in it that helps recolonize the intestines thus improving the immune system. Zahler® Kidophilus™ can also halt the growth of disease-causing bacteria like salmonella and ones related to the virus-caused flu. 6. Drink lots of water Water is important for health. I make my boys drink a glass of water every time they want a snack. Warm herbal tea is also another great way to get plenty of water. 7. Exercise Exercise keeps the body healthy and helps it to fight off those germs. I make sure the boys and I get plenty of exercise every day, The younger boys run around at school and the teen does track. I go for a walk or run every day. 8. Don't share I know we teach our children to share but winter time is not the time to share things like food, drinks, pencils, and other items. I don't even share my drinks or food with my kids as you can be contagious before that first cold symptom. I also wash my hands after I shake someone's hand or pray. Those germs are everywhere. 9. Keep your distance If someone is sneezing or coughing than stay away from them. When my husband has a cold, I sleep on the couch so I don't get sick. I also do this as his coughing will keep me awake. 10. Take care of mom You knowing the saying "moms don't get sick days." That is so true as when we moms are sick nobody takes care of you or the house. I make sure I take a daily multi-vitamin to fortify my immune system. My vitamin is also made with organic whole food and other good stuff in it to give me energy, feminine balance, and mood balance. When I take my Rainbow Light Women’s Multivitamin plus Balance & Energy, I can do my mom job better. Rainbow Light has a great line up of products to keep the whole family healthy year round. Check them out at the below link to discover products for kids, teens, women, and men at all stages of life. "These opinions are my own and I received samples from Rainbow Light and Zahler to facilitate this post." We get colds often in our family, too. I'll have to try the probiotics. I try to talk to the nurse before bringing my kids to the doctor. I try to avoid overcrowded office, too, unless it's urgent. We've been hit with a cold virus that just won't let go. These are all great tips! I just started using probiotics, I'm hoping they help with a lot of different issues I have. I agree with all of your tips except getting a flu shot. Of course that's just my opinion but each time I've received one I ended up with the flu. Needless to say, I haven't had one in 20 years and (knock on wood) haven't had the flu in that time period. Rich B. Those tips are fantastic! I need to try them because my family need it! These are great tips. My family seems to always have a cold, will keep these in mind. These were great tips for those who still didn't practice a healthy lifestyle. Prevention is better than cure. In order to prevent all that stubborn diseases, we all need to eat healthily, drink lots of water, exercise, enough sleep and of course cleanliness. Washing hands is one of the best things in avoidance of germ spreading that cause multiple ailments. Great ideas! We do try to drink a lot of water and eat somewhat healthy. So far, no one has been really sick. Knock on wood. Great tips! Good hygiene definitely keeps the germs at bay and that's what I've been teaching my girls up to know. When it comes to disease, prevention is always better than cure. Great tips, these! It's not easy during the winter months as have a tendency to want to hibernate, lol! Yep, totally agree with you on everything you said! Eating healthy and staying active can surely help keep a lot of the diseases away. These are the best tips! We always get our flu shots and take our vitamins. I should really start us all on some probiotics though! 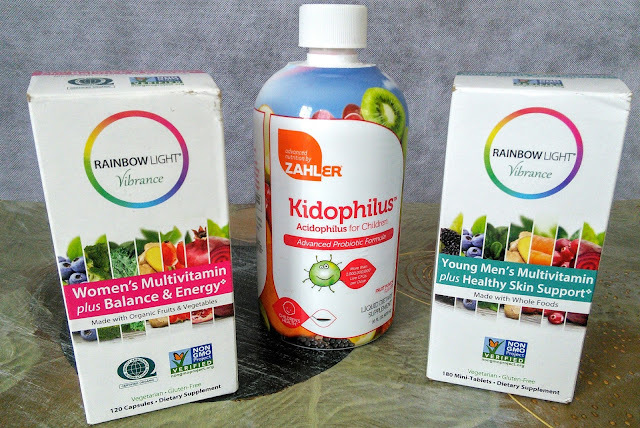 We are HUGE fans of Rainbow Light vitamins! I have even given them to friends so they can experience how awesome they are! I especially love the probiotics suggestion. It makes a huge difference! We have pretty much stayed sick since the weather has warmed up. We have recently started to use probiotics, so I hope that helps. these are so some awesome tips. my family in michigan has been sick all weather it seems. i myself am feeling a little stuffy at the moment. however, since moving to florida i dont get sick as often.